Have you noticed the QR codes? 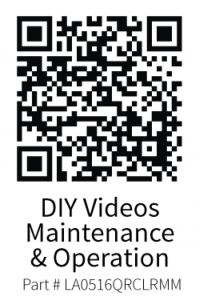 Recently, Milgard has added QR code stickers to all of our products that link to our Product Care Videos. Please be sure to leave the sticker in place to assist your service technicians on installation day, as well as the homeowner for future maintenance. When you do the final walkthrough with your customer, let them know about the QR code so they can retain the sticker for an easy reference.We are adding new videos regularly, so, check back often. If you have any questions, please contact your Milgard Representative. This entry was posted in Blog on February 22, 2017 by superowner.